The summer is a great time for road trips but traveling with kids can be very stressful. When they get bored, they get impatient and you’ll begin hearing a lot of whining and complaining coming from the back seat. Many times, they’ll begin picking on each other making it necessary for you to assume the role of referee to calm everyone down. At home, you can separate them but you don’t have many options when riding in the vehicle. Your best bet is to keep your kids entertained when on the road to avoid these augments from starting in the first place. This way, everyone will be happy and the trip will be much more enjoyable. There are many different ways to keep kids entertained when traveling but you have to be careful what options you choose. For example, you don’t want to give your kids a game that makes annoying noises or you’ll feel like you’re going crazy after a few short minutes. Kids love reading and drawing so bring along a few of their favorite reading and coloring books, paper and crayons. These should keep them entertained for hours. Take along a few games they can play in the car. You can find a good variety of games designed specifically for traveling. Kids of all ages love watching movies. Toyota Sienna passenger vans and similar vehicles are available with DVD systems that will keep them completely entertained. Pack your iPads, tablets and MP3 players along with the car chargers, headphones and plenty of batteries just in case. These will keep your kids happy and you stress free during the trip. Take along some snacks and a cooler of water so you can curb that hunger when they just can’t wait until you stop for dinner but choose your snacks wisely. You don’t want anything messy that will be hard to clean. All of these are great ways to keep your kids entertained but you also want to make sure everyone is comfortable. 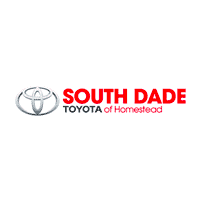 Kids are much happier when they’re comfortable and here at South Dade Toyota, we have a wide selection of new and used vehicles perfect for traveling. Keeping your kids entertained not only makes your trips more enjoyable but it keeps you safer, too. When your kids are bickering and complaining, you’re not paying as much attention to the road or your driving as you should be. When you turn to look back at your kids to break up an argument or look in the rear view mirror to keep them on their own side of the car, it’s easy to swerve into the other lane. When you’re upset or stressed because your kids are not enjoying the ride as much as you hoped, it affects your concentration. You may not see that car slowing down or that one pulling out in front of you. When your driving has your full attention, you can often avoid accidents when these things happen but when you’re distracted, you’re not able to concentrate and you may not notice things in time to stop.